Been quite a nice drip-feed of content so far. I don't regret the Expansion Pass at all, and still a meaty expansion come the end of the year; by which point I will be up for playing it again. 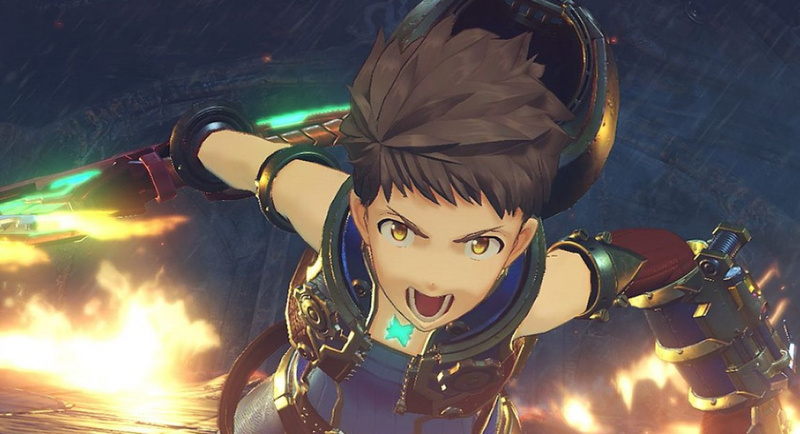 "Are you still playing Xenoblade Chronicles 2? " Eh, still haven't continue yet. I still hyped with Portal Knights Switch. I'll be playing the crap out of this game (again) when the new story DLC drops. A lot of content has been compounding over the last few months. Consider me hyped! My favorite Switch title so far, but I'll wait for all DLCs to release before playing them in a NG+. 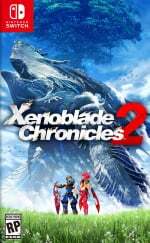 I've held off purchasing XC2 as I hope they release a complete edition, fingers crossed for around Xmas this year. Now if I could just win that pesky chapter 7 boss fight, I’d pick this game up again and check it out. Glad to hear of more content. While I loved this game, I haven't played it since I finished it. Waiting for the story DLC this fall before I buy the expansion pass and get back into it. Am hoping for a complete edition as still yet to complete XCX on the Wii U.
I'm only in Chapter 4 (30+ hours in), so this take could be wrong, but I don't get the impression that this game needs more quests. In fact, I've found myself avoiding side quests because they're very much of the MMO variety: fetch this, fetch that, etc. In short, they do little to enhance the world or story itself and ultimately feel like doing chores. Unless the approach has changed, I'm not sure why more of that would be a desirable thing. Cool. more quests. It's nice going back to this game every so often while the wait for Challenge Mode, Bringer of Chaos difficulty and the story DLC continues. Been aching to get this, but I know if I do I'll never wrap up at least part of my backlog... Plus, I'd like to get some games which won't take as long to finish. There are quite a few games on my wish list, such as some of the Shantae games, Steamworld Dig (1+2), Wonder Boy, etc. Hopefully bug fixes as well. Get on that one that makes the ending cinematics and credits slow to a crawl before crashing! in chapter 6 now and enjoying this immensely but i am kind of stuck on Pyra's affinity chart. her level 3 purifying flames (need to do heart to heart on grave site) will not open up (it is still on ????). I talked to the aunt Corinne and rested there several times but the ???? will not disappear. anything i missed (do i need to progress further in the story or reach a specific area first). Still haven't opened this yet....I'll get to it. Maybe they'll improve handheld performance before I get to it? A new patch...there's hope? Either this, or Skyrim, or L.A. Noire, or South Park is next up for me. I'll open my LE when all these updates are done. @Reignmaker Totally agree. The story, whilst insane, full of horribly cringe-worthy anime clichés, and a build up that rights itself far too easily;; was actually fairly enjoyable. The side quests and levelling up blades served little purpose except to beat high level monsters, which in turn served little purpose. Been playing on and off as time allows. I still enjoy it, though some of the side quests can be a bit annoying. (Tiger Tiger or "ingredient hunt" type quests) Been trying to get a couple more unique blades before finishing the game and starting over. At least I got Degas unlocked, though I'm assuming that new game glitch has been fixed or will be fixed soon so that's moot. I will pick it up again. I need a reason to go back again. I played through again on the new game plus and it was pretty good...I also play with English VOs...it was ok and had it's moments. Still like the Japanese VOs. I just beat the vanilla game about a week ago, and... I definitely like the game, but I'm good to go at the moment. I'm not really a side quest guy, except for those that i did in the flow of my adventure, so DLC quests specifically are lost on me. Lack of time and funds aside, other than the rare compulsion to explore the Titans completely, picking fights with once insurmountable foes and new insurmountable foes, I don't see myself putting in much time. The new story "may" compel me, but we'll see. EDIT, as in you find her. This is not enough to keep me going. These quests will be done before you can say MONADO! Any word on the bug that causes the game to crash whenever you use a spoiler level 4 move? @NEStalgia Don't pick skyrim. Pick something you can beat in a reasonable time period. @Reignmaker I found the side quests very unrewarding. What you would get for a one part side quest in other games you get after 2-3 part sidequest. There is no way I could play this game enough to need an expansion pass for it, but good news for the fans I guess. @Eddyson oh, you're quite right. How could I forget her? I guess she just doesn't look like a Herald. On a brighter note,got two new blades tonight back to back off rare crystals. Only two of the original blades left to get.. I love this game! I am 58 hours and only on chapter 4 I think. Which ever one you travel to Rex's home town. I have been doing all DLC content and taking time developing cities and farming crystals. I got Kos-Mos about 10 hours back. @Ryu_Niiyama LOL, you have a point. Thought wouldn't that rule out Xenoblade as well? I guess South Park it is! Heck I have so many copies of Skyrim. I started it on 360, and wasn't really feeling it (TM). I got the VR edition, played it like 3 hours, then moved furniture and haven't figured out where to put the camera. Switch version is still in shrinkwrap. And I'm tempted to get the X1X "I can't believe it's not PC!" graphics version Probably to never play it there either. Xenoblade, YS, soon. AC:Origins (working on it! ), MGSV (hey, it was free! ), and that doesn't include Octopath, Nier, Ni No Kuni 2, FFXV (though I have the disc version meaning I'm missing most of the game until I cough up the dough for the rest of what I bought), Horizon....and I'm forgetting a few. I'm not sure how it happened that Switch is my favorite console, and I end up having so much backlog on the other systems. sigh....yet Xenoblade is so tempting. @Eddyson I suddenly got Kos-Mos and Azamj back to back. So now I just need Zenobia and Delilah from the 'proper' blades but as I'm on a new game+ there's also all those other blades to get, think I only have about two of those! @TommyTLG Your mom said I was plenty good. @NEStalgia I beat xenoblade in 140 hours. So that is doable. I can't help you with the rest of it. I'm still trying to beat back my own backlog. back, back I say!